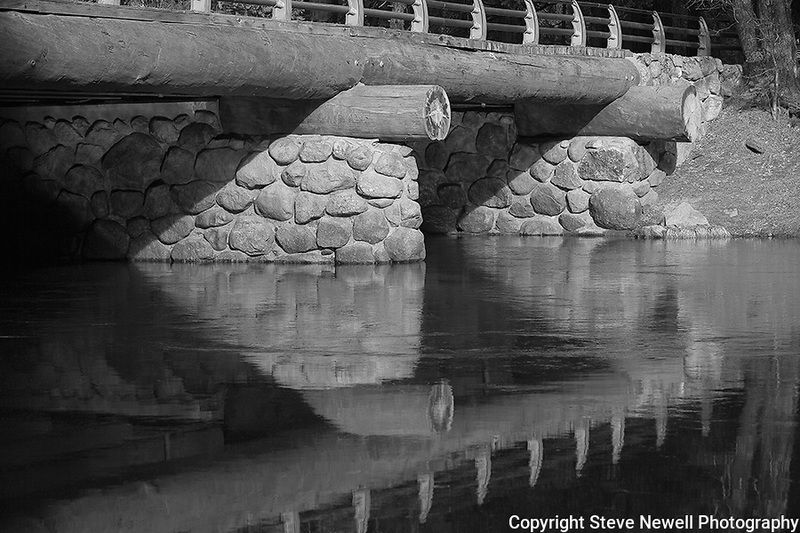 "Yosemite Bridge" Black and White. Yosemite National Park, California. The Merced River running under a bridge on the park's valley floor near the El Capitan rock formation.